One of the biggest challenges facing contemporary China is the growing gap between the country’s urban rich and rural poor (now numbering approximately 900 million) (Chen & Wu, 2003). Journalists and authors of Will The Boat Sink the Water? : The Life of China’s Peasants, Chen Guidi and Wu Chuntao decided they had to do something to address this issue when Wu gave birth to their son. In the midst of their own happiness, the couple witnessed a poor women and her child die in childbirth because they could not afford the necessary medical care (Chen & Wu, 2003, p. ix). Moved by this tragedy and their own fortunate fate, the pair decided to spend three years and nearly all of their savings to travel to over 50 villages in Anhui Province and talk to thousands of Chinese peasants. They also made several supplementary trips to Beijing to interview authorities (Chen & Wu, 2003, p. ix). This situation proves Bak’s (2011) point that: “Oppression has fueled the production of literary journalism as much as, if not more than, freedom has” (p. 6). Therefore, “The impact of our book came from telling the plain truth about the lives of China’s peasants” (Chen & Wu, 2003, p. ix). Chen and Wu’s ambition to use literary journalism to expose the truth was met with great success. A shortened version of their book was first published in the literary magazine Our Times (Dangdai) in November 2003 — the issue of the magazine sold out within a week, having sold 100,000 copies. The full version was published in December 2003 by the People’s Literature Publishing House. The book sold over 150,000 copies in just one month (Chen & Wu, 2003, p. ix). This kind of reception was unprecedented. The success of Chen and Wu’s book (2003) is a testimony to the quality of literary journalism necessary to capture the public’s attention: “For a work of nonfiction—a reportage on a subject that could hardly be considered trendy—it was a phenomenal success” (p. x). However, the book’s success came to a halt when the Propaganda Department of the Central Committee banned it in March 2004. As a result of this censorship, the book disappeared from the shelves of stores, and “It was as if it had never been written, as if the publicity surrounding it had been a dream” (Chen & Wu, 2003, p. xiii). Yet readers continued to pirate the book, and seven million additional copies were sold in China. Moreover, the book went on to win the Lettre Ulysses Award for the Art of Reportage in 2004, and Chen and Wu were named “Leaders at the Forefront of Change” by Business Week, and “Asian Hero” by Time Magazine in October 2005 (Chen & Wu, 2003, p. xv). Despite their hardships, Chen and Wu proved that literary journalism can have a lasting impact on the public’s attention and knowledge of a social issue. Although their work of literary journalism was only on the shelves for four months, Chen and Wu (2003) succeeded in their task to give a “voice to the voiceless” (p. xv). Moreover, the authors claim “The Chinese central government is working to on the “‘Triple-Agri’ problems more than ever. That’s partly due to our efforts” (Chen & Wu, 2003, p. xv). These three examples, although they share no direct connection, share a single thread of origin. Namely, they all arose from the author’s desire to shed light on a social problem and the ways in which they did so make each examples of contemporary literary journalism. In all three of the aforementioned cases, there was a lack of adequate coverage on a national social issue affecting mainly rural and disenfranchised populations. In South Africa, Steinberg (2002) criticizes the coverage of rural “farm murders,” which he claims to be only “scratching the surface, understanding nothing” (p. viii). In America, Reding (2009) laments that the methamphetamine epidemic “somehow avoided coherent, national scrutiny” (p. 7). Though Reding (2009) only is able to get a book deal after media attention on the subject grows, this media attention still is lacking because it is presented under the false assumption that “meth was a large-scale true-crime story” (p. 11). And in China, though knowledge of the plight of the peasants was widespread among the rural population, Chen and Wu (2003) claim the media neglects to report on it, keeping urban populations unaware of the problem: “all we got from the media were glowing reports of ‘happily ever after’” (p. xii). Thus, in all three examples, the authors set out to correct a lack of publicity — or lack of correct understanding — about pervasive yet neglected national social issues. For these authors, this desire to correct the widespread oversight of prominent social issues does not promise personal gratification, but rather represents a chance to illuminate a larger truth. By employing the techniques of literary journalism, these authors are able to unravel the plight of many by documenting the story of a few. For Steinberg, the larger truth is the idea that the existence of farm murders in the countryside of South Africa demonstrates that racism still exists, even in a post-apartheid era. For Reding (2009), the larger truth is that the use of meth is more than just a crime story — instead, meth is a manifestation of “the death of a way of life,” and in some way defines America’s place in a modernizing world (p. 18). And for Chen and Wu, the larger truth is the reality that the daily struggles of Chinese peasants are ignored by their government and their counterparts in the city. Moreover, Chen and Wu (2003) set out to prove that the “Triple-Agri problem” cripples peasants’ chances of socioeconomic mobility, and therefore warrants correction by their government (p. xv). Thus, despite their vastly different environments and quests, these authors all share a common goal: to give a compelling literary voice to the voiceless. All three books successfully pushed their respective social issue further into the media spotlight, and consequently, onto the public’s radar. Midlands won South Africa’s most prestigious literary prize: the Sunday Times Alan Paton Award for non-fiction in 2003 (Steinberg, 2002). Methland became a New York Times bestseller and received the 2009 Chicago Tribune Heartland Prize, as well as the 2010 Hillman Prize for Book Journalism, among several other awards (Reding, 2009). Will the Boat Sink the Water? won the Lettre Ulysses Award for the Art of Reportage in 2004 (Chen & Wu, 2003). Most important, each of these works succeeded in attracting public attention to marginalized social issues. Moreover, they illustrate how literary journalism can be used to harness the best of both journalism and literature in order to catalyze social change. Bak, J. S., & Reynolds, B. (Eds.). (2011). Literary Journalism Across the Globe: Journalistic Traditions and Transnational Influences. Boston, MA: University of Massachusetts Press. Chen, G., & Wu, C. (2006). 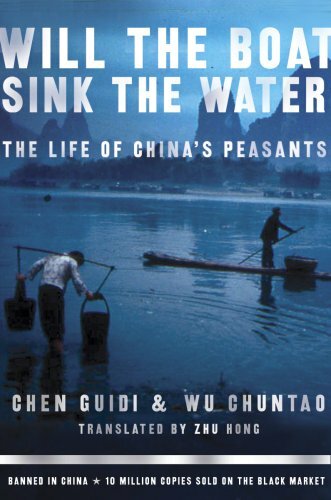 Will the Boat Sink the Water: The Life of China’s Peasants (H. Zhu, Trans.). New York, NY: PublicAffairs. Keeble, R.L., & Tulloch, J. (Eds.). (2012). Global Literary Journalism: Exploring the Journalistic Imagination. New York, NY: Peter Lang Publishing, Inc.
Mustain, G. (Ed.). (2011). Global Stories: Literary Journalism: Best of Class. Pokfulam, Hong Kong: Hong Kong University Press. Reding, N. (2009). Methland: The Death and Life of an American Small Town. New York, NY: Bloomsbury USA. Steinberg, J. (2002). Midlands: A Very South African Murder. Johannesburg: Jonathan Ball Publishers.